Pulp & Press is open for business! 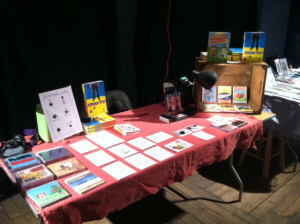 Come on down to Mill No.5, 250 Jackson Street, Lowell MA and buy some stuff! This is an amazing space, and I’m super impressed with all the stuff people have for sale here.